Scuba diving at Sandals truly offers you the very best in equipment, staff and unbelievable dive sites – all included! 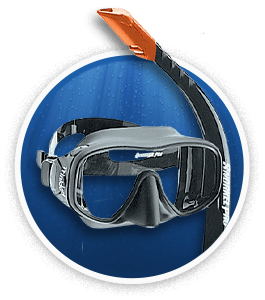 From regulators, BCD's, masks, snorkels, fins and tanks to state-of-the-art, twin diesel Newton boats and expert guidance from our PADI® certified dive professionals – we've taken care of everything! Every Sandals resort offers access to a selection of spectacular dive spots featuring vivid marine life and thriving coral reefs beneath the calmest, clearest waters imaginable. The Sandals fleet of specially designed, twin diesel Newton boats provide you with everything you need for a spectacular diving experience. Our instructors are fully certified by PADI®, one of the world's most respected scuba diving training organizations. With courses starting from US$100, you'll be exploring the undersea universe in just one day! Explore the best Caribbean underwater scenery. Certified divers can take a range of courses designed to appeal to their inner scientist, increase their safety skills or satisfy their desire for adventure. Sandals’ highly experienced PADI® certified staff works in partnership with DAN® to bring you unparalleled dive experiences at exotic sites. Enjoy everything from spectacular reefs and shipwrecks to drop-offs and underwater caves. 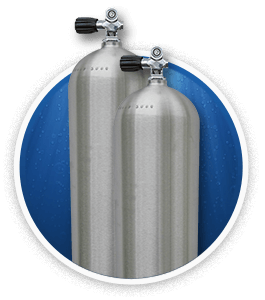 Luxfer® and Catalina® tanks are maintained with high standards and visually inspected annually and hydro-tested every 5 years to certify structural integrity and safety. Silicone masks, adheres to your face allowing a comfortable fit. If you prefer, you can bring along your own mask and snorkel. 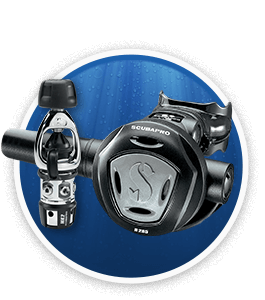 Top-of-the-line Scuba Pro® regulator, featuring Mk 2 first stage with R-295 second stages. 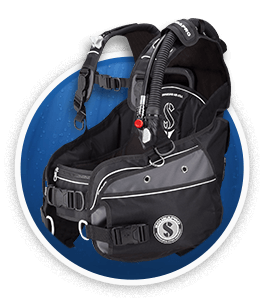 Regularly serviced and maintained by Scuba Pro® trained technicians to ensure safety and efficiency. 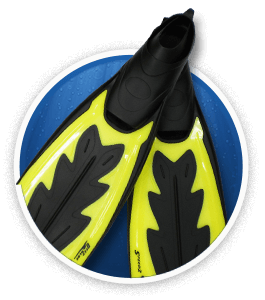 Deep Blue Fins®, a rising star in the industry, providing comfortable fit due to their easy full foot design, and great for diving in the tropics. 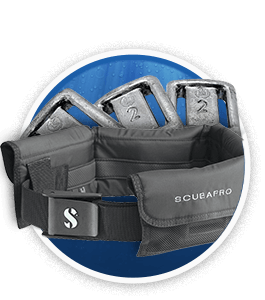 Scuba Pro® brand rated among the top product line internationally in the dive industry.